1. What is the Power Plate? It is a Whole Body Vibration (WBV) plate that stimulates the brain and forces your body to function at a higher level. Research shows that WBV therapy is extremely beneficial to ones health. The Power plate equipment is the premium vibration device powering a new dimension in wellness solutions for all ages, lifestyles and physical abilities. It stimulates the bodys natural response to vibration. These vibrations transmit waves of energy throughout the body, activating muscle contractions between 30 and 50 times per second, enhancing overall performance in as little as 15 minutes a day. 2. How does the Power Plate work? The Power plate works by vibrating in three different dimensions,; vertical, horizontal, and sagittal (up and down), stimulating muscles spindles to fire to the brain to improve posture and function. 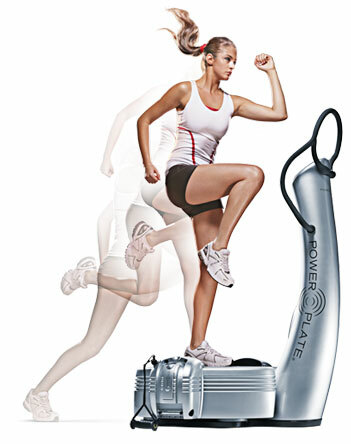 Due to the mechanical vibration produced by the Power Plate device, the body will react involuntarily. While standing on the Power Plate machine, the natural balance in the human body is disturbed, thus numerous muscles are activated in order to recover the balanced lost. So you aren't knocked off balance, but just enough that your muscles must accommodate, improving core strength, stability as well as improved flexibility and mobility. When the Power Plate vibrates up and down, your muscle tone improves. Left to right and front to back movements improves your balance and coordination. So the result is a dramatic improvement in strength and power, flexibility, balance, tone and leannessfor starters. 3. What are the benefits of the Power Plate? Power Plate training offers a host of benefits, ranging from an Immediate improvement in blood circulation, to a variety of other measurable outcomes such as increased muscle strength, flexibility, improved range of motion, reduced pain and soreness and faster recovery. Increases recovery time from injuries and/or surgeries. 4.	Who can use the Power Plate? Anyone who is looking to improve their overall health, function, movement, circulation, core strength, stability , or anyone who is looking for weight loss, to strengthen and stabilize their spine and improve balance. Set up a Complimentary Consultation with Dr. Papi to learn more or see if the Power Plate is right for you!